lliott Fourth Wave turning points can easily be predicted with the following method. Learn how to forecast reversal points by studying the following charts. 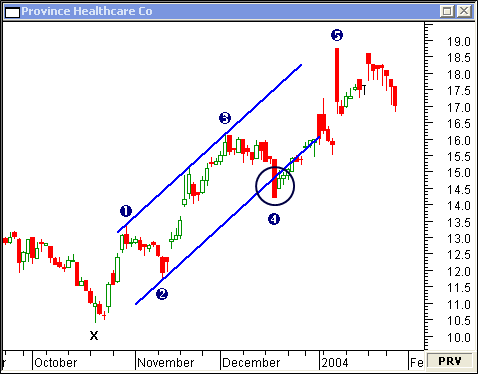 When the parallel line drawn from the termination of Waves 1 and 3 is projected from Wave 2, the termination for Wave 4 is easily predicted on this daily chart of Province Healthcare Co. 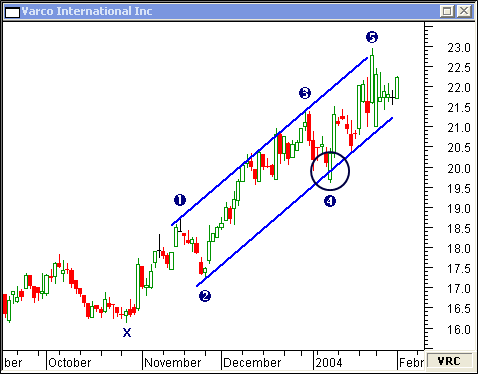 This daily chart of Varco International Inc shows the forecasted termination for Wave 4 is dead-on. 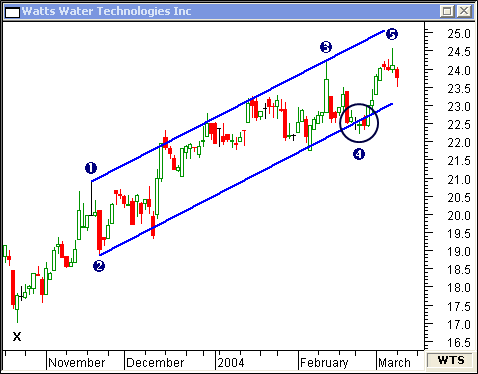 On this daily chart of Watts Water Technologies Inc, the quick termination of Wave 4 was forecasted with great accuracy. Elliott Fourth Wave turning points are just as easily predicted in down-trending stocks. 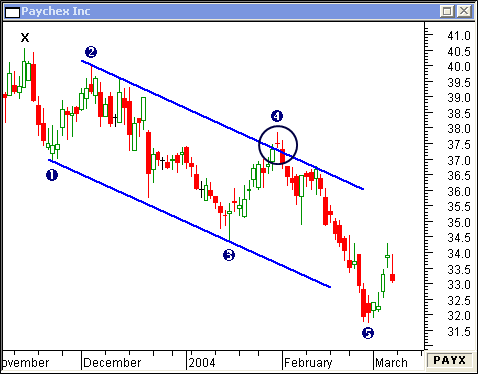 This daily chart of Paychex Inc shows that Wave 4 terminated precisely on an Evening Star candlestick pattern... confirming the power of this forecasting method. 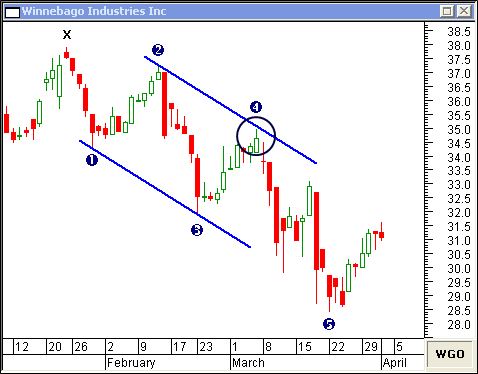 Sometimes the price will fall short of touching the parallel line as it did on this daily chart of Winnebago Industries Inc. Look for other confirming indicators before declaring the end of the counter-trend. And... sometimes the price will move beyond the target area. 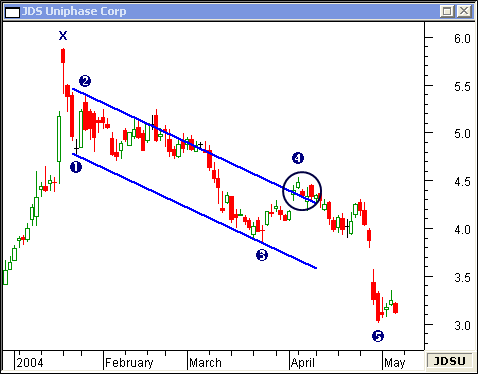 This daily chart of JDS Uniphase Corp shows how the forecasted termination point for Wave 4 served as an area of stiff resistance.